When you brought a Gorenje appliance into your home, the chances are that you were after somethign to make chores a little easier. Something to free up time so you can spend it on the things that really matter. By now, we're sure that it has. Each day, we work hard to create new products and services that make life's biggest milestones or the smallest everyday moments smoother. We'd like to share our innovations with you. To show you exactly how we can make your life easier. To provide you with problem solving solutions in a monthly newsletter. 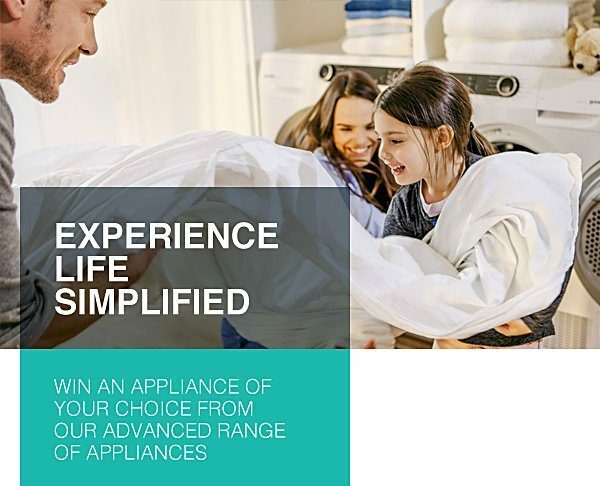 It couldn't be simpler to sign up, and you'll get entered into a draw to win an appliance worth XXXXXX.